​Physical Therapy with treatment focus to help individuals maintain function and independence. 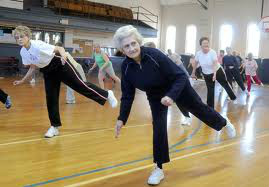 Maintaining balance is important for stability at any age. Balance is the ability we have to maintain our body's center of mass over its base of support. If our bodies balance system is functioning correctly we are able to visualize while in motion & determine the direction of our movement with respect to gravity. This allows us to make automatic postural adjustments to maintain posture and stability in various activities. When you find yourself no longer able to maintain your balance you are at a high risk for falls and unable to participate in the activities you enjoy. A customized vestibular rehabilitation or balance training program developed by Katey Lent, PT will put you back in control of your life.